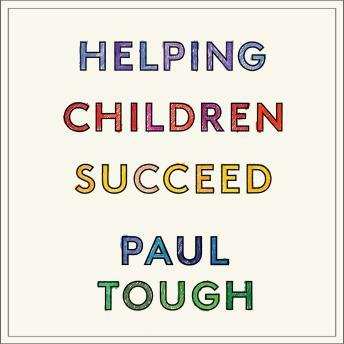 In How Children Succeed, Paul Tough introduced us to research showing that personal qualities like perseverance, self-control, and conscientiousness play a critical role in children's success. Now, in Helping Children Succeed, Tough takes on a new set of pressing questions: What does growing up in poverty do to children's mental and physical development? How does adversity at home affect their success in the classroom, from preschool to high school? And what practical steps can the adults who are responsible for them-from parents and teachers to policy makers and philanthropists-take to improve their chances for a positive future? Tough once again encourages us to think in a brand-new way about the challenges of childhood. Rather than trying to 'teach' skills like grit and self-control, he argues, we should focus instead on creating the kinds of environments, both at home and at school, in which those qualities are most likely to flourish. Mining the latest research in psychology and neuroscience, Tough provides us with insights and strategies for a new approach to childhood adversity, one designed to help many more children succeed.